The following tutorial will enable the new camera roll and video editing capabilities from iPhone 3GS on your iPhone 3G and iPhone 2G. You will also get an option to upload videos you took from Cycorder app to YouTube directly from Camera Roll app just like in iPhone 3GS. Step 4: Now connect your iPhone with your computer. Make sure iTunes is not running and your iPhone and your computer are connected to the same local network. Step 6: Once you have logged in, browse to /private/var/tmp directory on your iPhone. Thats it! Now go to your Camera Roll in Photos app and you should now have iPhone 3GS Camera Roll, Video Editing and Video Uploading options in your iPhone 2G and iPhone 3G !! 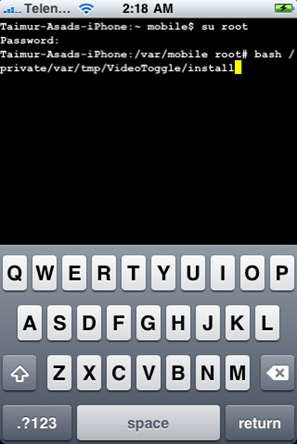 Credit for this hack goes to Simplyskate who developed this little plug-in called VideoToggle for SBSettings. Notice the Videos option being added in Photos App. Yay !! 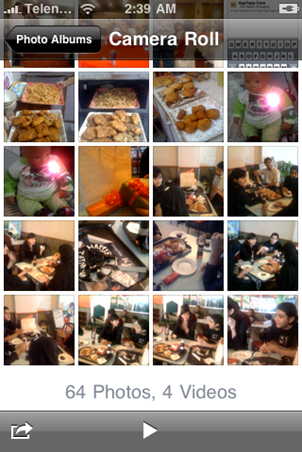 We can now play videos recorded from Cycorder app in Photos app on our iPhone 3G and iPhone 2G. 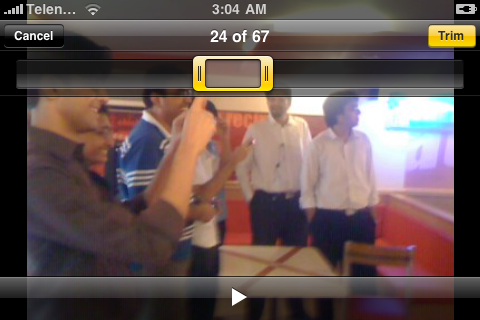 Ability to trim videos on iPhone 3G and iPhone 2G. 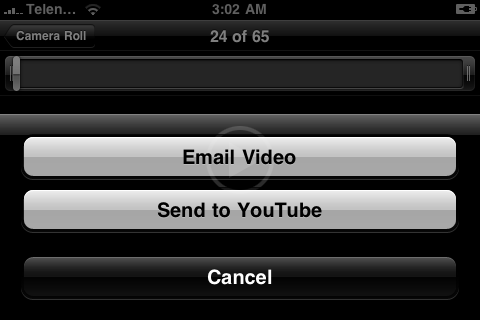 Options to either “Email Video” or “Send to YouTube”. Note: VideoToggle is still in beta and has some bugs. When it is enabled, Camera app will NOT work properly. You will have to disable the VideoEdit toggle from SBSettings to make the Camera app work again. Enable VideoEdit toggle only when you want to enable the video editing options etc. I will keep you guys updated on any future updates which this app will get. You can follow me on twitter or join RedmondPie.com facebook fan page to keep yourself updated! Feel free to ask me any question regarding any problem that you may encounter when installing this hack. tanx !!! u save my day !!! i finally found a way to send video through Email just go to camera roll and mark the video then copy . 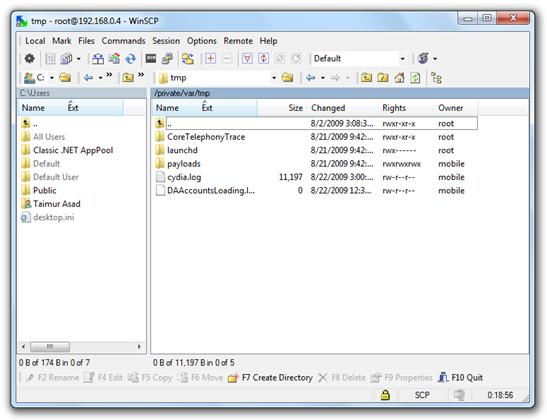 compose new email and past the video it my take time if the video is long but it works just fine …..
Hey I don't use winscp, but unstead I use iFunbox, through USB connection. I'm kinda not sure if I shud follow the same command on STEP 8. Need help please, thanks. after i install the toggle how do i get new cycorder videos into the camera roll without having to restart the toggle? thank you. i can send videos but it only attaches audio can someone fix? camera shutter wont open please help!